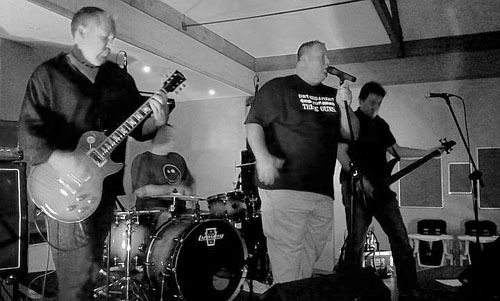 Broken Theory band play a wide range of Modern rock and classic hits. This consists of an extensive range of songs from artists such as Matchbox Twenty, Green Day and Pearl Jam. Current artists like Kings of Leon, Maroon 5 and Thirsty Merc to Classic rock and 80s Hits from artists like U2, Powderfinger, INXS, Van Halen and Cold Chisel. Broken Theory band is all you need for a fantastic night out. Performing an array of entertaining music, Broken Theory, will help you party the night away with a state of the art Sound System. Including a qualified sound engineer, up to date musical instruments and equipment and lighting. With some of Adelaide’s most talented musicians, Broken Theory are a quality four piece band. Broken Theory have performed at some of Adelaide’s top venues. As well as some of Adelaide’s best pubs and clubs. Broken Theory can cater to all occasions including corporate functions, social club functions and special events like birthdays and weddings. Whether there are 100 or 1000 guests Broken Theory will accommodate your needs.